Soft green plants have sprung up in the desert, courtesy of the summer monsoons. This black-tailed jackrabbit focused on the green grass along the Cholla Mountain Loop Trail, I’m sure it was a welcome respite from what is normally on offer. 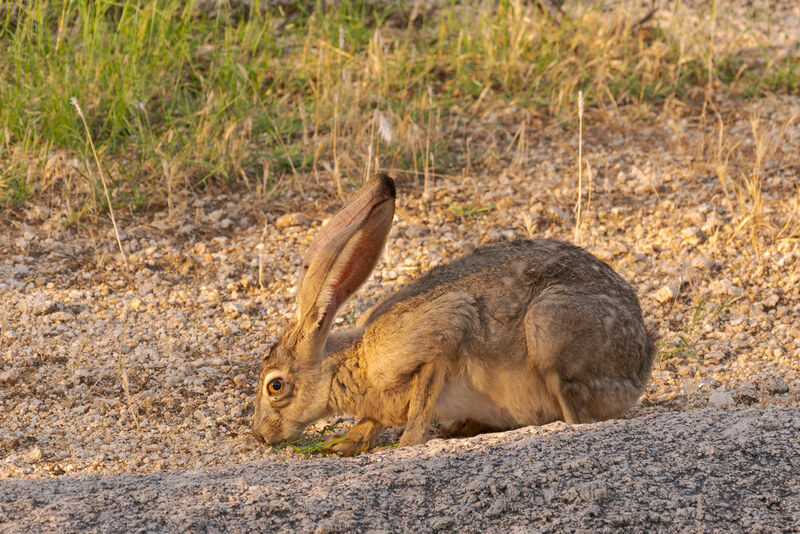 This entry was posted in Mammals and tagged Arizona, black-tailed jackrabbit, Brown's Ranch, Cholla Mountain Loop Trail, desert, eating, grass, hare, McDowell Sonoran Preserve, Scottsdale, Sonoran Desert. Bookmark the permalink.